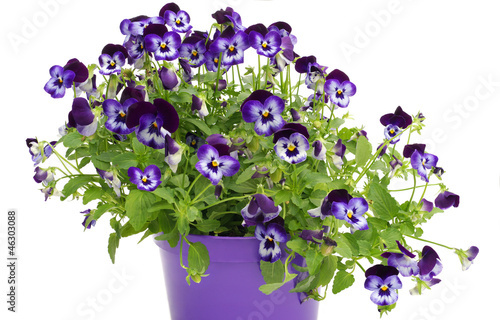 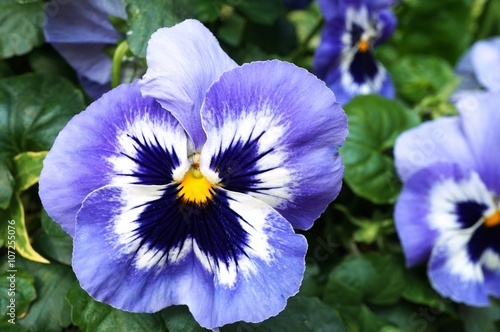 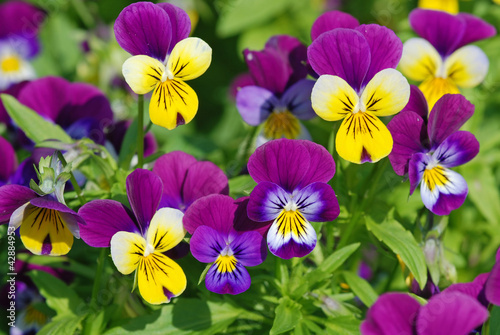 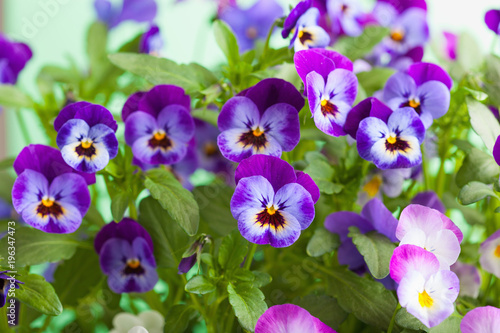 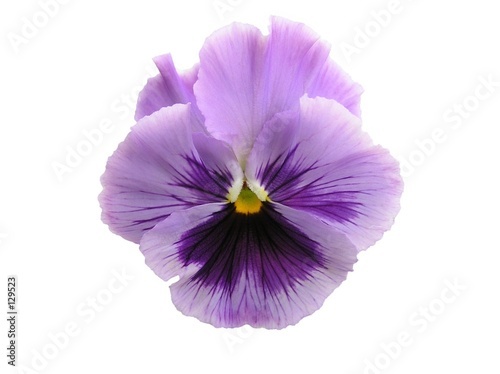 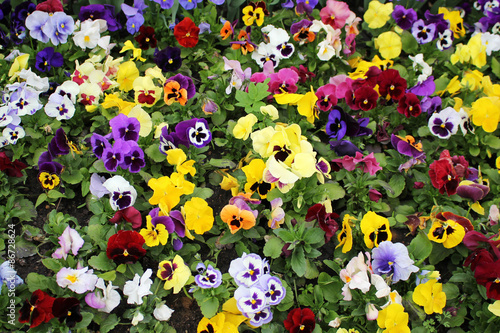 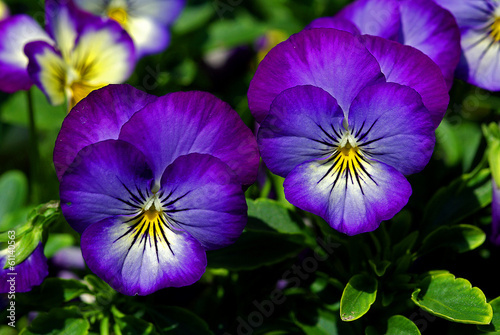 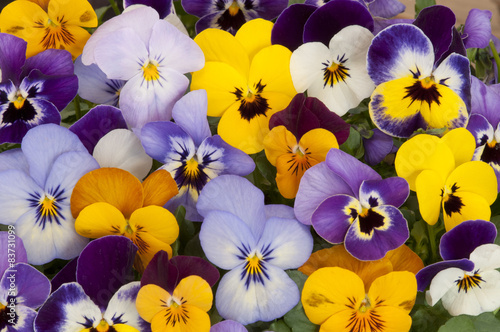 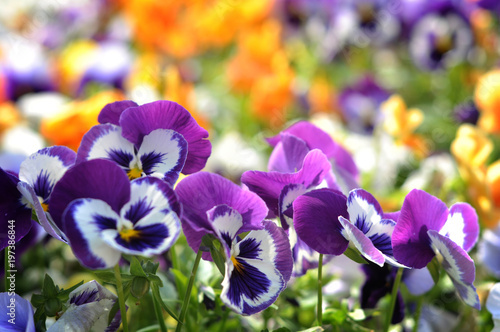 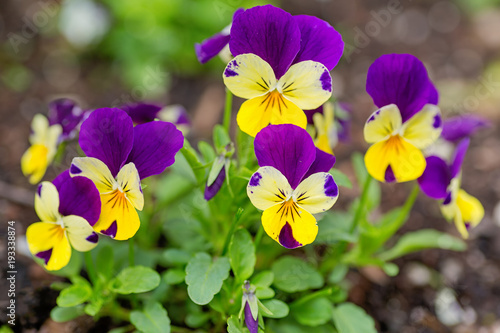 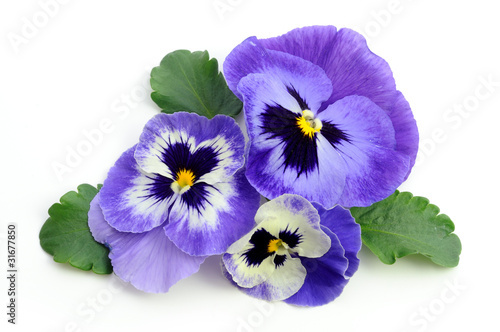 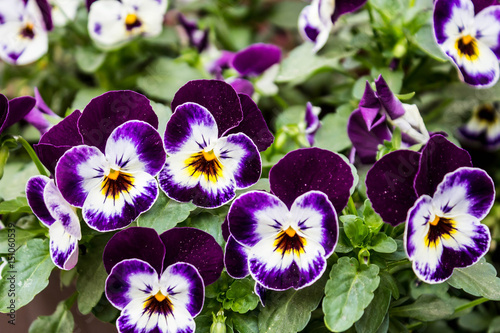 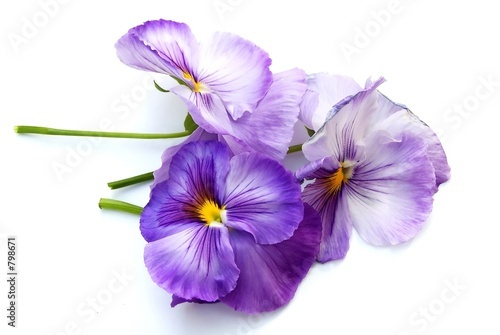 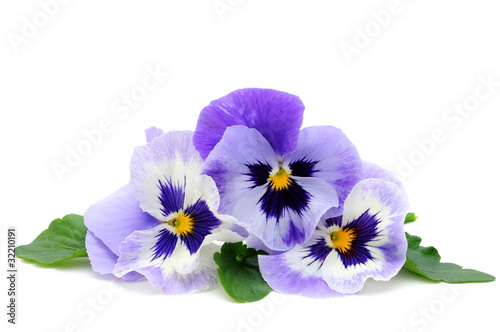 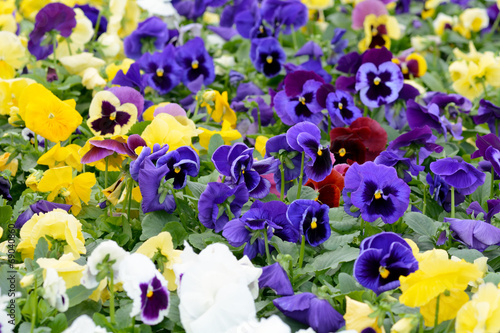 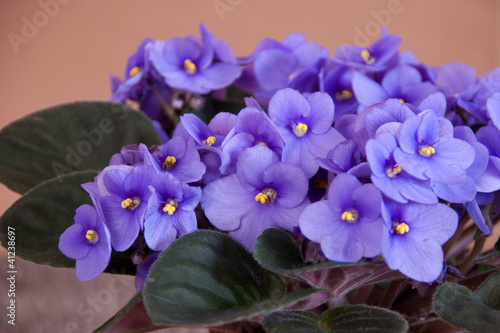 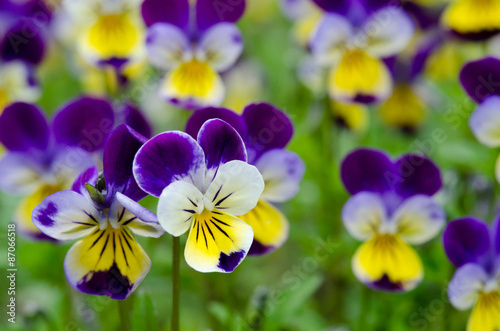 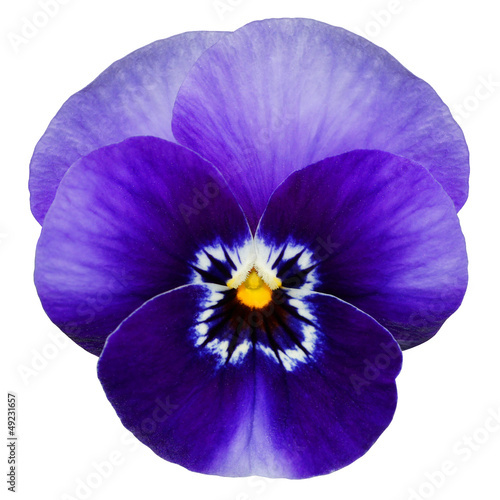 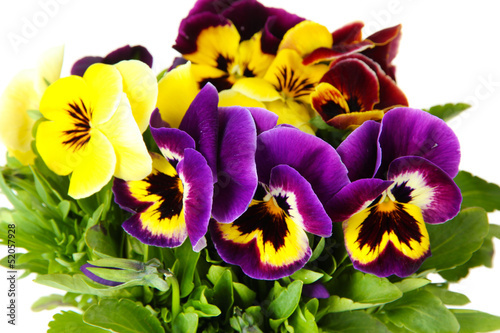 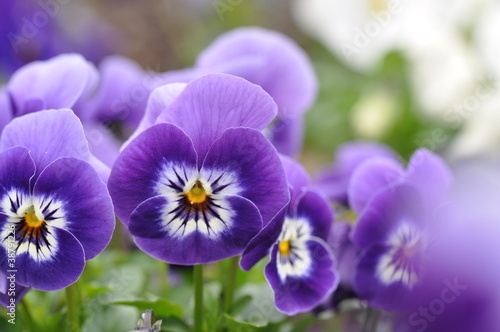 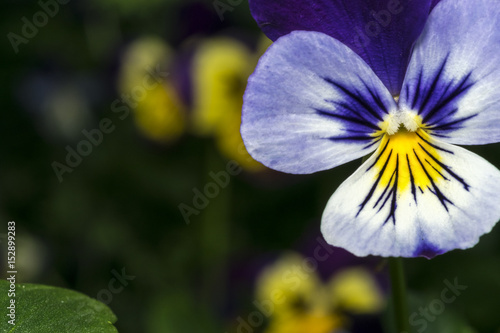 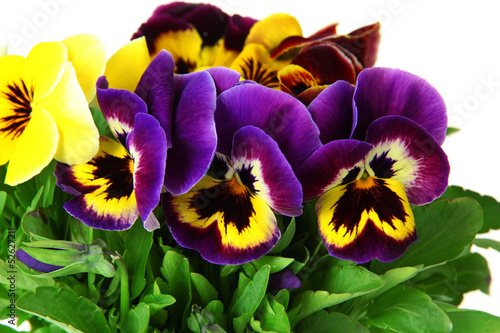 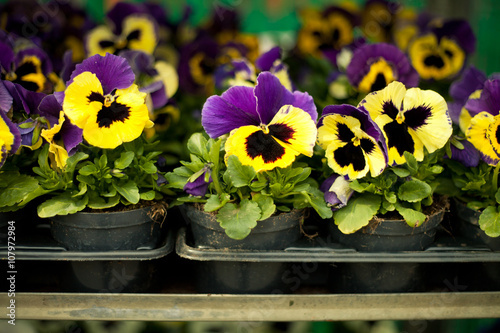 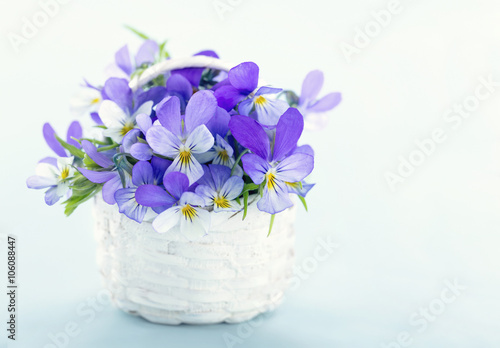 Photo of a beautiful purple pansy flowers close-up on a blue background. 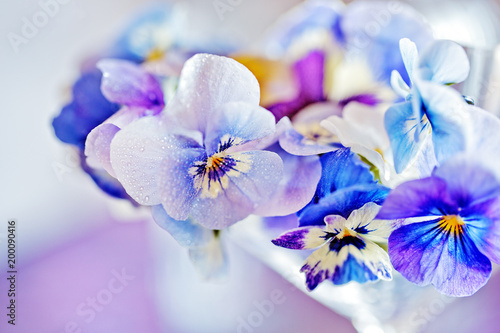 Beautiful and delicate flowers. 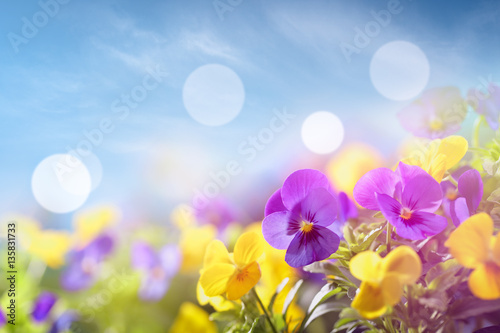 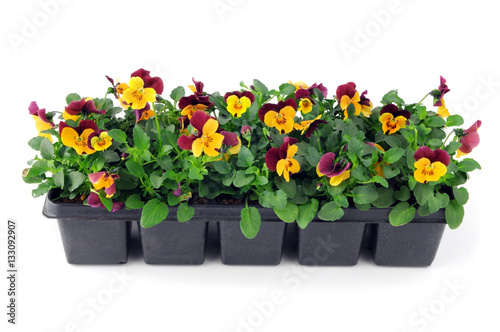 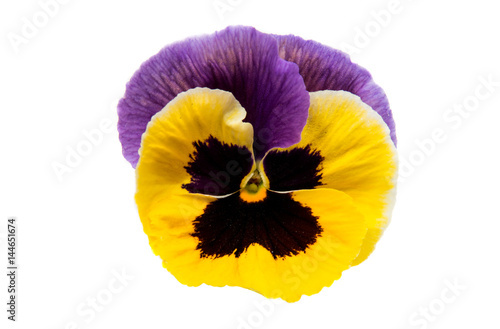 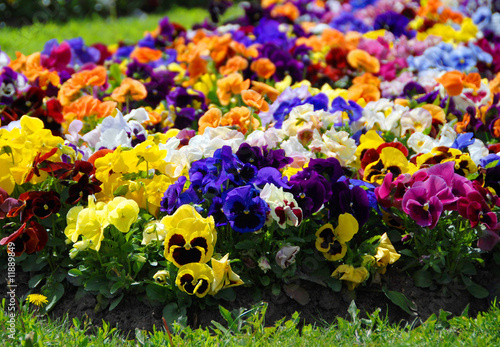 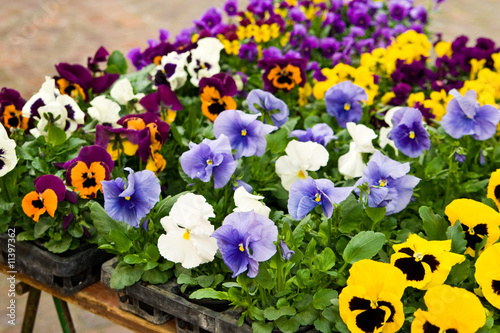 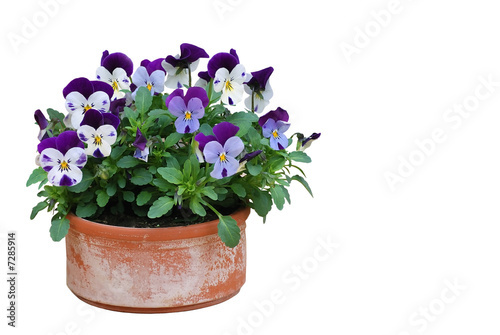 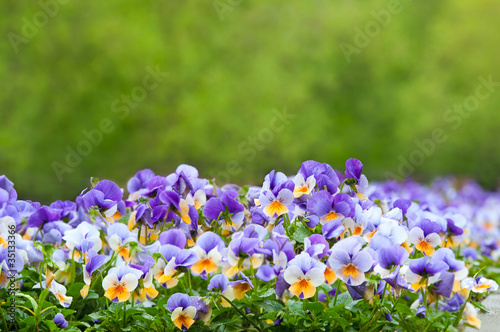 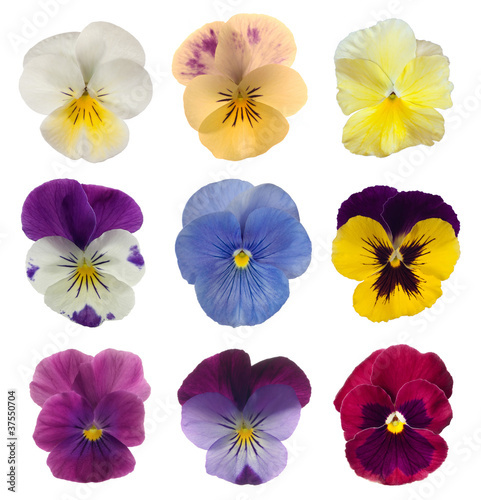 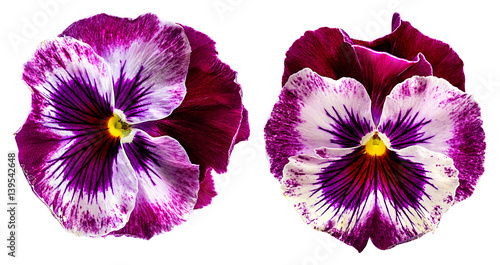 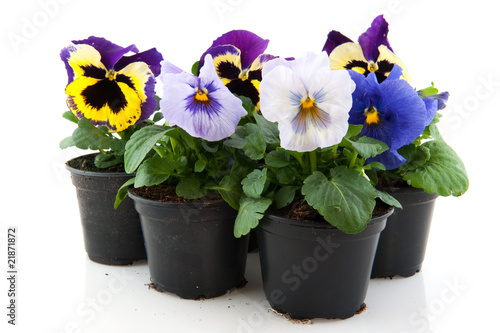 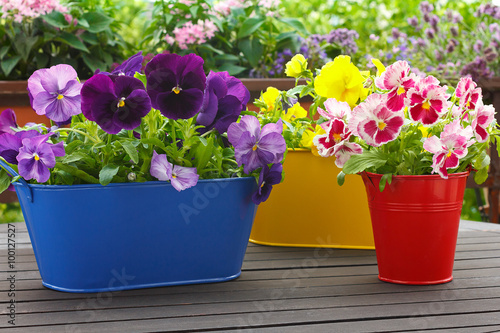 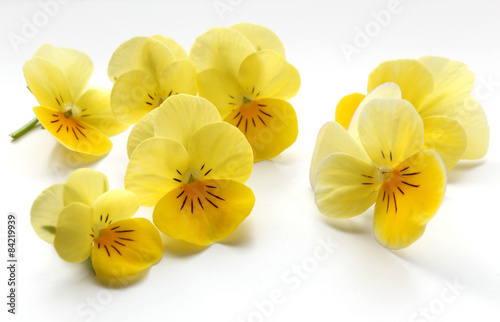 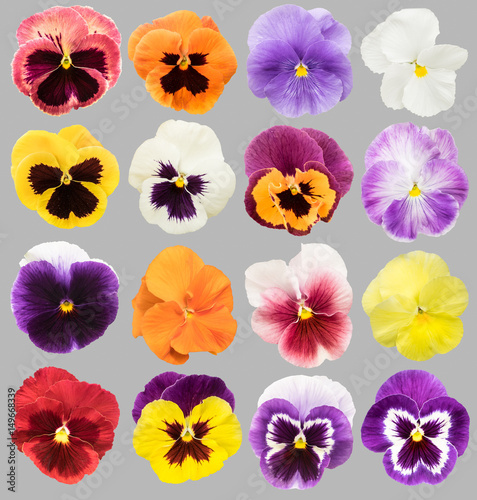 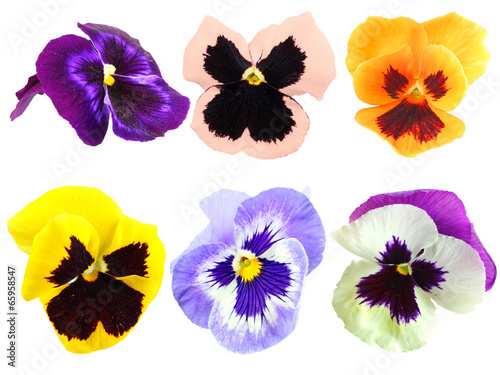 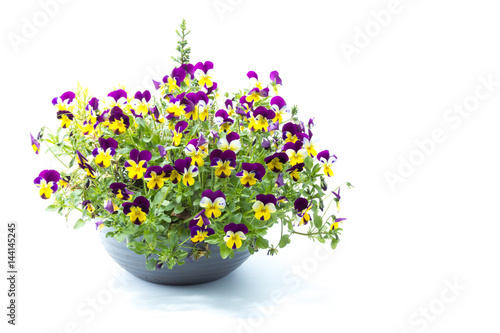 Set of colorful pansy flowers isolated on gray background. 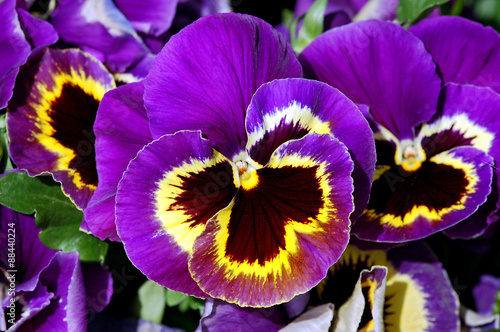 Violet Pansies beautiful flower in the flowerbed. 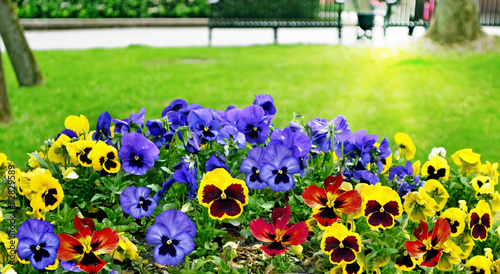 On a sunny day after the rain.